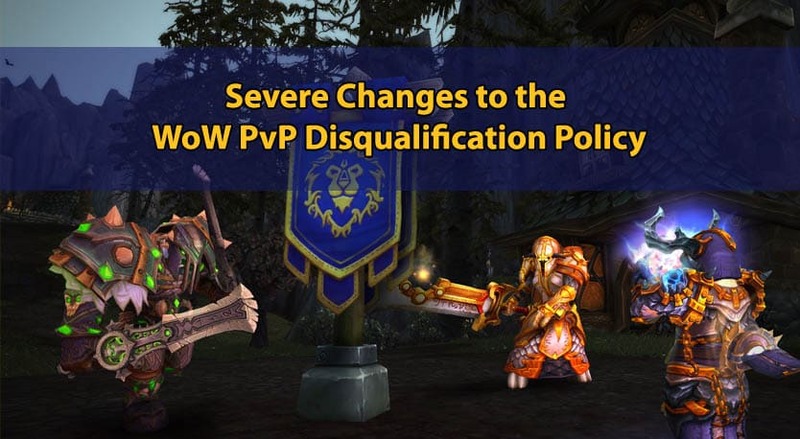 The WoW PvP Disqualification Policy has also received its fair share of changes, following the recently issued WoW Account Sharing and Boosting ban wave. This happened in the hopes of discouraging players from purchasing PvP boosts. Up until now, any player that was caught for using boosting services in order to earn a certain rating or rewards in PvP, would generally just get disqualified, and have its rewards removed. Sometimes though, they could also get suspended for a few days or weeks, although this wasn’t much of a pattern, and it depended a lot on other factors as well. This would’ve allowed the same players, if they so wished, to once more purchase the boosting service right after they got punished, and try once more to earn those certain rewards in PvP. However, due to the new WoW PvP disqualification policy, this will be somewhat impossible, at least for a few months. What’s the new WoW PvP Disqualification Policy? Well, if you’re familiar with the Overwatch’s seasonal ban, where you can get banned from Competitive Play for the remainder of the current season for certain offenses (such as leaving games for example), then that’s pretty much the same how the new WoW PvP disqualification policy will be applied. What this means is that, if a player is caught using a boosting service or simply shares his account with someone else in order to obtain a certain PvP rating or rewards, will not only have his rewards removed and rating reversed, but he will also lose his ability to queue for rated PvP games for the remainder of that current season. On top of that, as we’ve just seen in this current WoW Account Sharing and Boosting ban wave, players affected by this new WoW PvP disqualification policy have also been suspended for 30 days, which will really have a grim impact on their BfA release experience, as they won’t be able to play the game until 2 weeks after the release. The current wave of PvP boosting bans is set to expire somewhere during August 29th, which will be 15 days after Battle for Azeroth, WoW’s 7th expansion, will be released, on August 14th. Due to this, everyone affected by this ban wave will miss the first 2 weeks of the expansion, and will most likely already fall quite a bit behind compared to their guildmates or their friends. And last but not least, should you ever find yourself in a position where you got suspended or banned from WoW under the accusation of getting boosted, don’t hesitate to check out our WoW unban service. Need help with a WoW account ban? We're here to give you the best help in order to get your WoW account unbanned!